I'm Rafael, 23 years old. I'm new around here and I've known this forum from another Bond community (MI6.co.uk), where I'm a member. 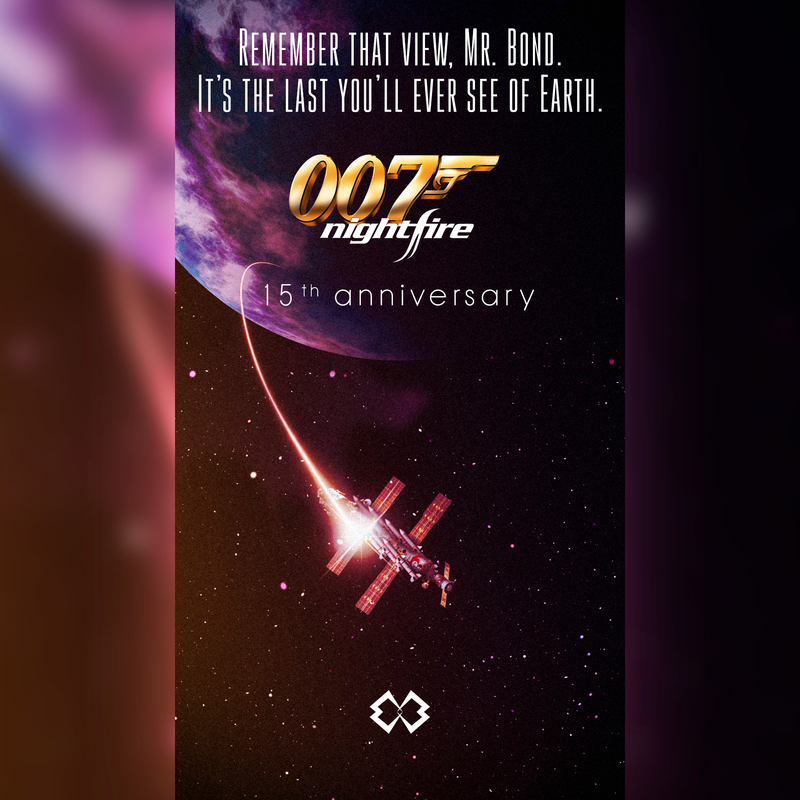 It's already been 15 years of Nightfire and this date shouldn't be gone without a celebration. As a graphic designer, I do a couple of honorings to many games and movies that are nostalgic, epic and bring good memories for their fans and admirers. Great job on the poster and welcome aboard! Yes; it's hard to believe! hehehe, Thanks!